Be blessed by Setrap's holy energy, and protected from demons, spirits and black magic with this exquisitely detailed pewter tsa tsa. 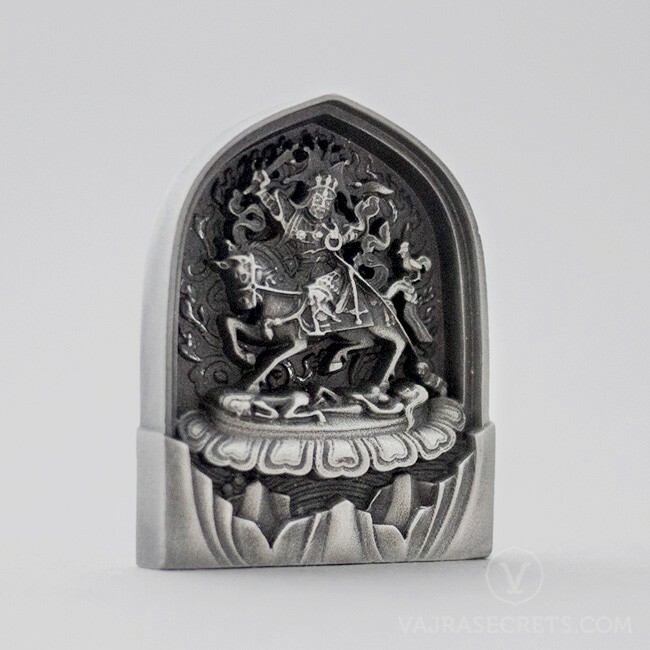 Setrap brings swift assistance for life's daily challenges and helps overcome inner obstacles such as anger, attachment, ignorance and a self-cherishing attitude. 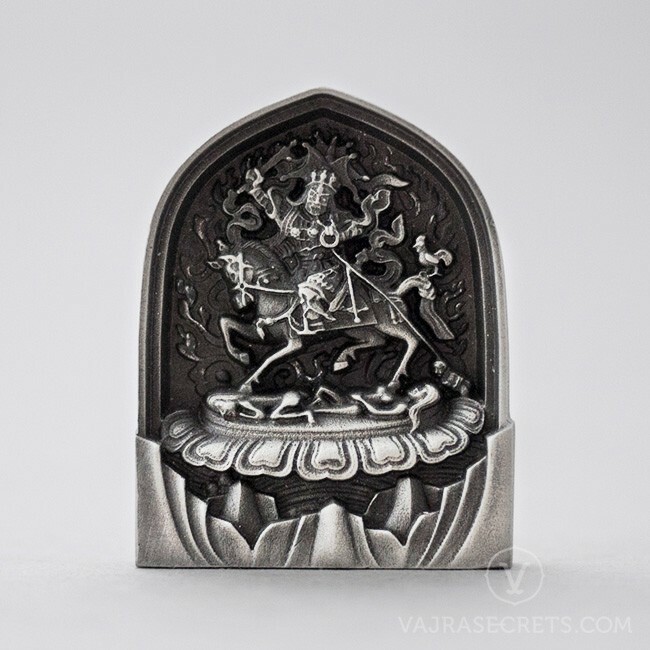 Be blessed by Setrap's holy energy, and protected from demons, spirits and black magic with this exquisitely detailed pewter tsa tsa.